The world of pre-kindergarten through fourth grade at Westside School is one of questions and journeys, independence and collaboration, where our teachers celebrate each child's special talents. Students are encouraged to develop their own thoughts and become independent thinkers. Teachers often take the role of facilitator: Talking with students -- instead of at them - they emphasize how one reaches an answer is as important as the answer itself. In all of the classrooms, teachers help students develop independent skills. From pre-kindergarten on, students learn by doing. Teachers teach new ideas, concepts and curriculum in a variety of ways, challenging every learning style, and showing your child learning is fun. Students also start presenting and speaking in front of their class. By Middle School, they are confident and poised in front of their classmates, groups of parents, or the entire Westside student body. An integrated, project based curriculum allows students to spend time learning with their class, in collaborative teams, and on their own. Through third grade, each class is lead by a teacher and assistant. Whether it's taking advantage of learning from a whale washed up on a nearby beach, or listening to an ornithologist share her knowledge of owls, or by spending the night at a working Pioneer Farm, our students are acutely aware of the world as their classroom, and complete Lower School ready for the social and academic challenges of Middle School. Our supportive environment nurtures self-esteem while challenging students to understand themselves as individuals with distinct learning styles. We treat our classrooms as a community, where students commit to their own learning and support their fellow scholars. 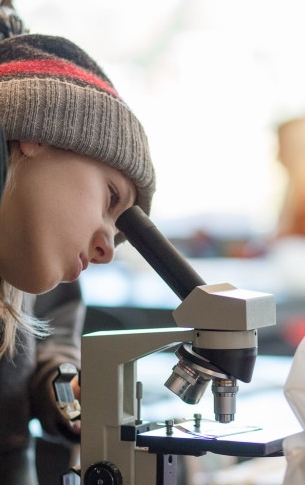 Learning occurs both in and beyond the walls of the classroom, in our neighborhood, our city, and on the outdoor education overnight expeditions our students take. The Middle School teaching teams implement an integrated, project based curriculum across math, science, humanities, and world languages that engages students' imaginations, matures their critical thinking skills and encourages participation in the global community. Sharing the campus with the Westside School Lower School students provides authentic leadership opportunities for the Middle School students. Our students will leave their experience at Westside School prepared for the high school of their choice, and ready to take on the challenges and adventures their future holds.